PARTY PACK! Lemonade! Lemonade! Get your freshly squeezed lemonade! 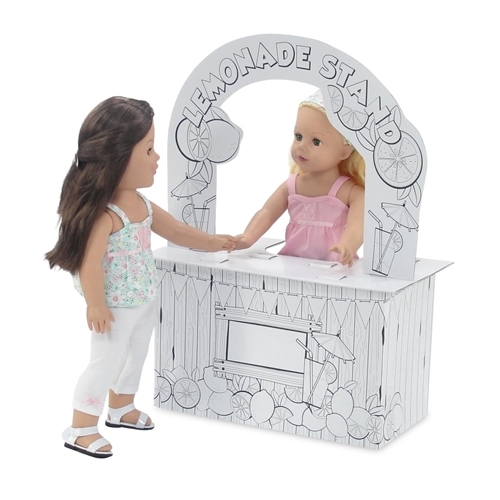 This summer, your 18-inch doll can help her friends cool off by serving or selling drinks from her very own lemonade stand. 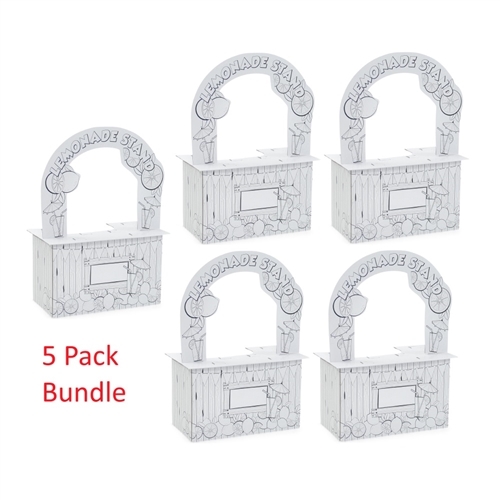 Perfect for a children's birthday party activity, this 5 pack of perfectly-sized and realistic cardboard furniture pieces feature super fun graphics that you can color with your own markers or crayons. There's even a blank space to add your own price for a glass of delicious, cold lemonade! Best of all, this sturdy, amazing stand is easy to assemble and is safety-tested. 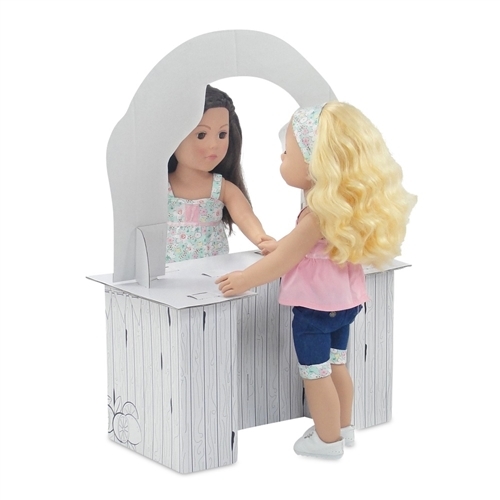 Enjoy your time, outdoors, in the summer sun, having endless hours of creative, imaginative fun in this charming, cardboard doll lemonade stand. 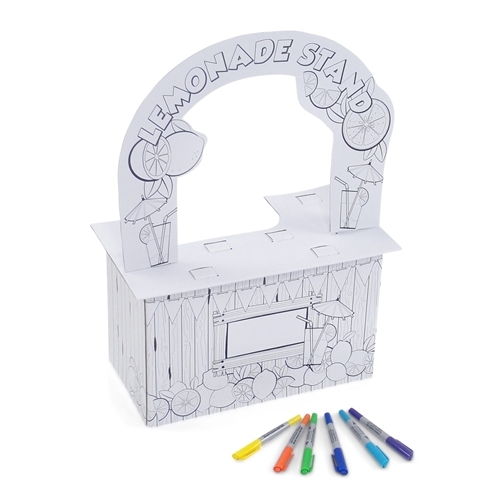 Awesome and fun 5 pack of 18-inch doll play cardboard lemonade stands with color-ready graphics, easy to assemble! 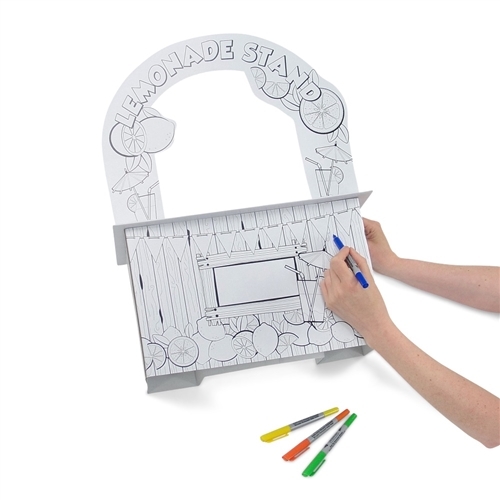 Adorable and affordable VALUE pack of country doll lemonade stands with tons of graphics that will spark your child's imagination and make coloring this accessory tons of fun! PERFECT for fun birthday party activity!